There’s nothing worse than brushing your teeth, getting into bed, and hearing your tummy rumble. Late-night hunger can creep up when you least expect it, but having a meal before bed can make you feel weighed down and even prevent you from falling asleep. On the flip side, going to bed starving may not feel so great either—trying to relax while dreaming about pizza can definitely distract you from dozing off peacefully. Why do we get so hungry at night? Late-night hunger is often the result of skipping breakfast or lunch, causing your body to want to make up for the calorie deficit before bed. “Most people don’t reach for the cottage cheese and fruit at that point, and instead reach for junk and overeat the junk,” says nutritionist and personal trainer Joey Gochnour. Choosing what to eat before bed can be confusing, but if you stick with the right food groups, a little midnight snack can actually help you fall asleep more quickly. 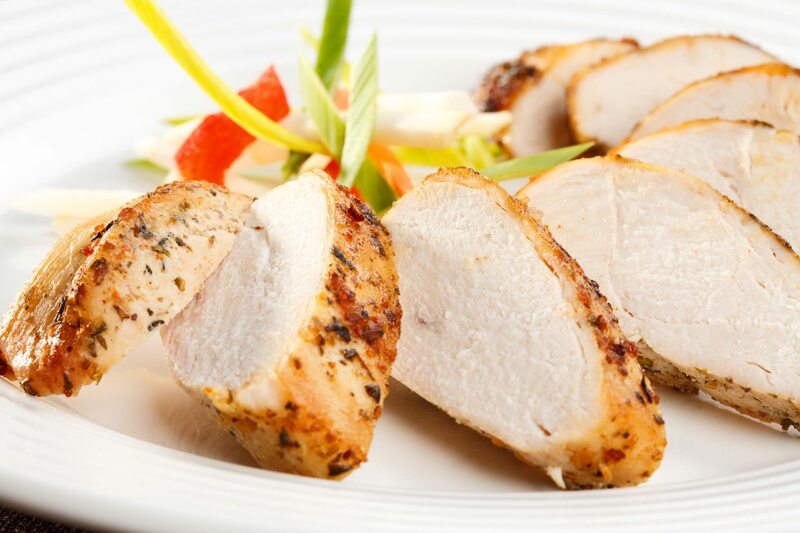 Avoiding heavy and spicy foods is always a good choice, and sticking to foods high in protein and complex carbohydrates will not only fill you up in smaller quantities, but will help release chemicals like serotonin and melatonin, which relax you and regulate your sleep cycles. “If physically hungry, protein and carb combinations should help cut the physical hunger and allow your body to physiologically relax, which can help promote sleep,” says Gochnour. 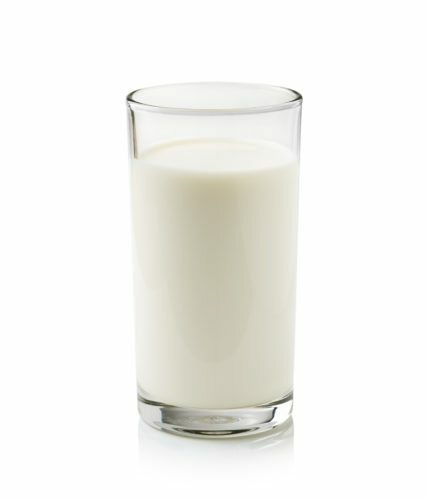 A glass of milk contains melatonin, helping lull you to sleep, and it contains the necessary combination of carbohydrates and protein to keep you full. 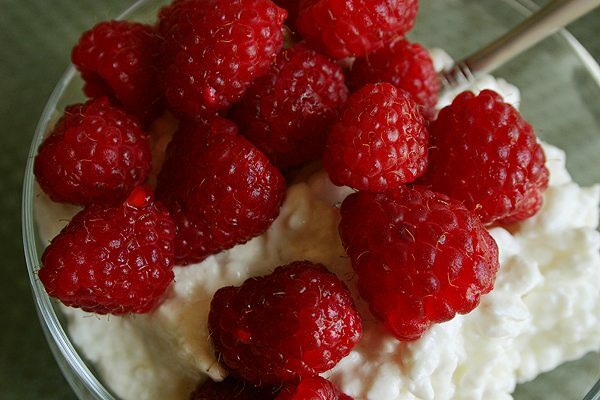 Like milk, the pairing of cottage cheese and fruit contains the combination of protein and carbohydrates, the former from dairy and the latter from fruit. “Some varieties [of cottage cheese] have some fat in them as well that can also round off hunger,” says Gochnour. When choosing fruit, go for options such as grapes, peaches or bananas, which won’t cause a drastic spike in your blood sugar. 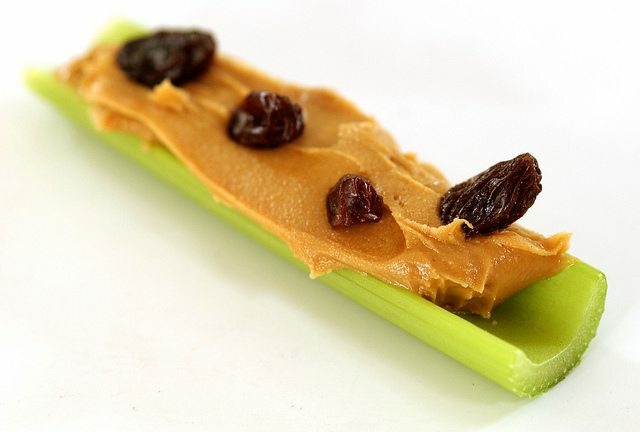 If you have the munchies, celery can be a good choice, as it’s crunchy, low in calories, and full of fiber. “Dip in peanut butter or hummus to add some protein and fat, making it a well-rounded meal to stave off hunger,” says Gochnour. 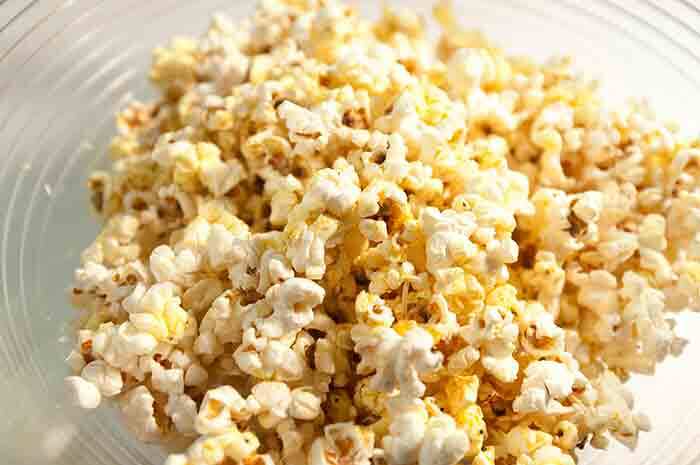 Another great snack that’s low in calories, popcorn is a high-fiber option that can be made quickly before bed and won’t leave you weighed down. Its abundance of complex-carbohydrates will relax you, and if you combine it with a sprinkle of Parmesan cheese, you’ll also enjoy the sleep-inducing benefits of the amino acid tryptophan, which converts to serotonin. 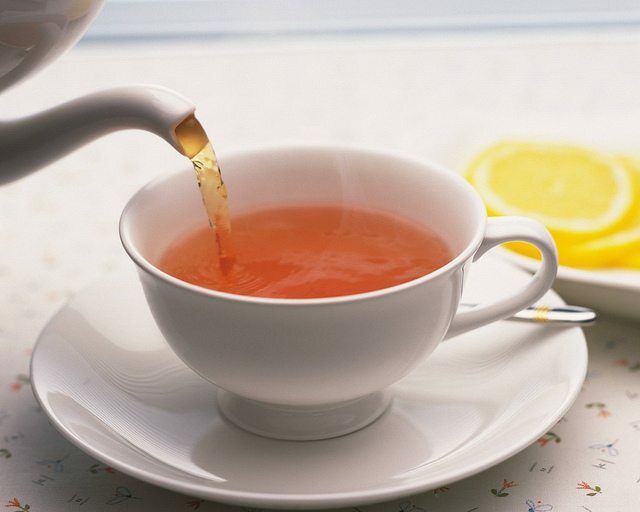 Sometimes people mistake thirst for hunger, so enjoying a cup of herbal tea before bed can not only help curb hunger pangs, but also provide you with natural sleep aids such as chamomile, lavender and jasmine. “Be sure to chase everything with water, since sometimes we really are just thirsty,” says Gochnour. 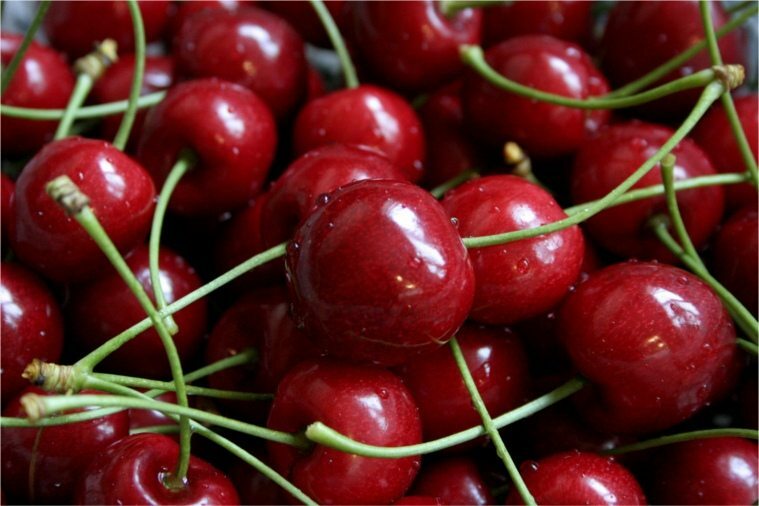 Not only are cherries a natural food that contain fiber, carbohydrates, and antioxidants, they also contain melatonin, acting as a natural sleep aid if you’re feeling stimulated. Studies have found that tart cherry juice can not only help people fall asleep, but help them sleep longer as well. Want to mimic that sleepy feeling you get after Thanksgiving dinner? You can thank the tryptophan in turkey for that. 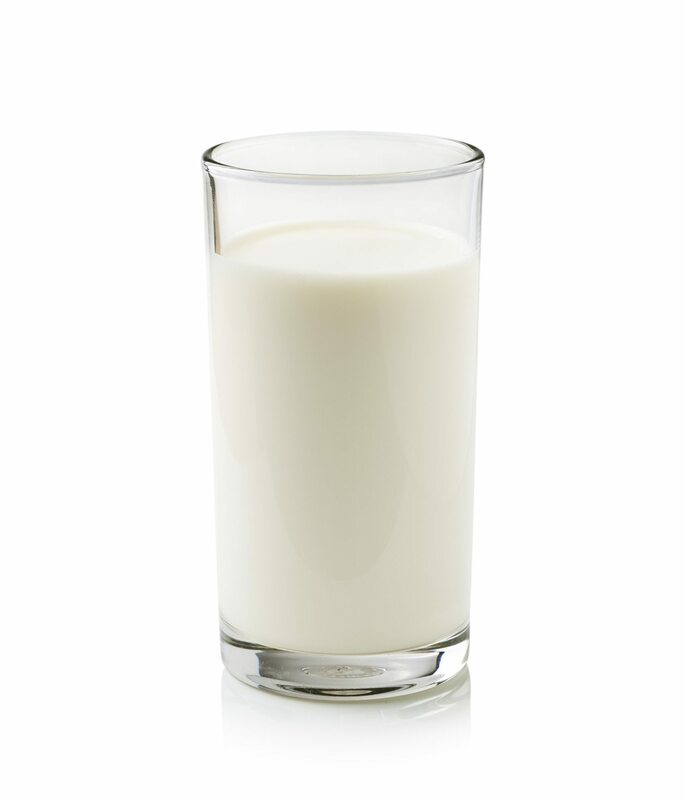 Eating a small portion of the protein will help fill you up as well as relax you, prepping you for easier sleep.